My Thoughts: This whole notion of apps for TV is so misguided. Seriously who wants a separate app for every channel? People don’t watch channels, they watch programming. And all this segmentation between the different apps and what content is locked behind each is a mess. Amazon has it partly right with their recent additions of HBO, Starz and Showtime as services directly within Amazon Video. But it’s still messy. Seriously – just build a system where I can say “watch Westworld” and then “watch Scream Queens” right after and I’ll be much happier than I am right now. 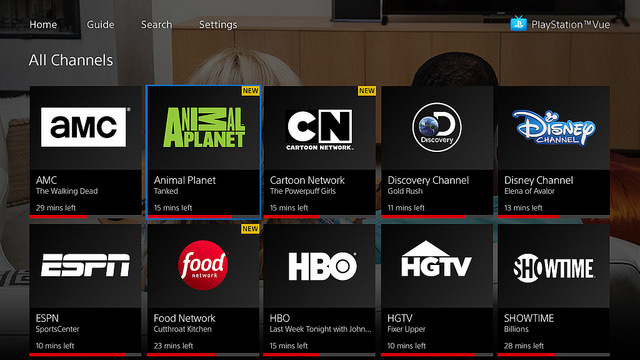 As it currently stands, I’m switching inputs, or at the very least switching between HBO Now and Hulu. It’s 2017. This is ridiculous … and it’s only going to keep getting worse as providers keep up adding their own original content and locking it behind their apps and paywalls.